But, particularly as discussions around a controversial reconciliation act in parliament continue, the question remains: If it is a war that Chahed wants, who (or what) are Tunisians fighting? Like every prime minister in Tunisia after the shift to the semi-parliamentary system after 2011, Chahed was nominated by the dominant political party, in this case Nidaa Tunis, a party founded and chaired until 2014 by the current president, Beji Caid Essebsi, a former minister under President Habib Bourguiba. Shortly after his election in 2014 (and despite the presence of a Truth and Dignity Commission and a law overseeing transitional justice) Essebsi proposed a law, entitled the Economic Reconciliation Act, his first and only legislative initiative since his election. An official draft of this act was never released to the public, but was secretly discussed between the presidency and the parliament for months. The act aims, as explained by Nidaa Tunis officials, to provide a feeling of security for thousands of public servants under investigation for corruption since the revolution, as well as a large group of businessmen who are banned from travel since 2011, and whose capital and assets are frozen. The social movement Manich Msemah (“I Will Not Forgive”), which began as a slogan for the first march against the act before developing into a popular nationwide youth movement, has also been demanding the halt of this presidential plan to grant officials of Ben Ali’s regime and corrupt businessmen of his era a general amnesty. Activists have accused Essebsi of attempting to return a favor to the businessmen who fueled his campaign and return to the political scene. Chafik Jarraya, a well-known billionaire, was the first businessman to be arrested during this recent anti-graft war, but his lawyers’ statements suggest that none of the accusations have anything to do with corruption. But, the word was out on social media: an anonymous official declared that this arrest was related to “treason of the nation” and “cooperation with foreign entities against the nation’s interest,” in reference to recent unrest in al-Kamour, where young unemployed protesters have been surrounding oil platforms at petroleum fields. Furthermore, reports later revealed that the decision to arrest Jarraya came following Essebsi’s meeting with Egyptian President Abdel-Fattah El Sisi at the Arab-Islamic-American Summit in Riyadh, where Egyptian intelligence revealed pictures of Jarraya meeting different leaders of armed militias, mostly in Misrata. Jarraya appeared days later in front of a military court, which confirmed all doubts: none of the accusations—again—had anything to do with corruption. Jarraya was put in house arrest within a military base in Tunis is “potentially accused of arm trafficking” according to local newspapers. Soon after Jarraya’s arrest followed the arrests of the head of the Touristic Security Unit and former head of the Anti-Terrorism Unit in Gorjeni, Sabeur Ajili, as well as former presidential candidate Yassine Chennoufi in relation to this case. As with Jarraya, the Tunisian government has not issued any statements or comments detailing the charges against the arrested suspects. The only official statement released indicates that the detention of Jarraya, as well as Chennoufi, will end by July 2017, with no further clarification on the reasons behind their arrest. Activists in Tunisia have said that they had not seen their people this proud and happy about their government in years. Still after few days, when no further explanations were issued, Tunisians rather recalled a time in the 1990s when even Zine al-Abedine Ben Ali did target some “corruption suspects including his protégé Kamel Eltaïef,” argued Tarek Kahlaoui, a former advisor to Tunisia’s first Arab Spring leader Moncef Marzouki and the former director of the Tunisian Institute of Strategic Studies. WHITHER TRANSITIONAL JUSTICE FOR TUNISIA? A month after the outbreak of Chahed’s “anti-graft war,” no results or outcomes have been communicated to the public. The parties of the ruling coalition have issued statements of support, without demanding transparency of procedures. Yet, Chahed and several political parties—including Nidaa Tunis—are asking for public support in this quest. 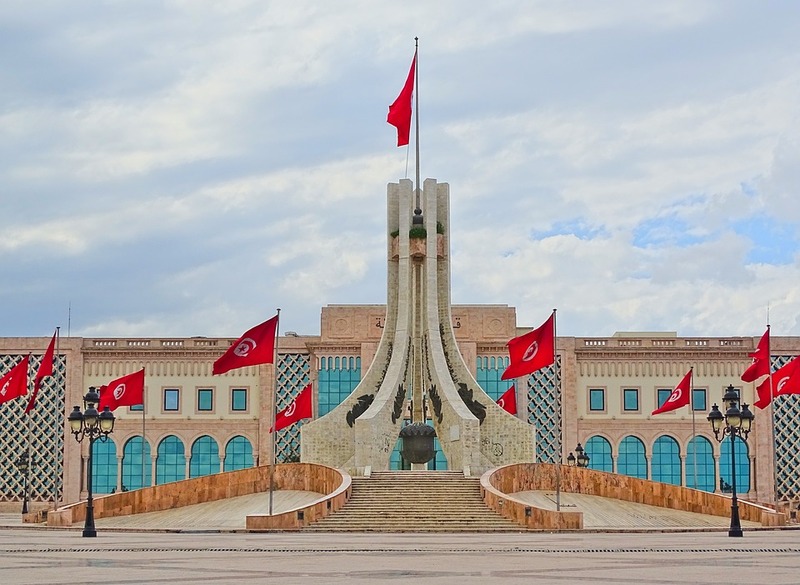 Declaring ambiguous “wars” as a populist tool often aim to distract the public’s attention from a much more important issue, and indeed the Tunisian parliament resumed the discussion of the Economic Reconciliation Act mere days after the arrest raids. For many, the arrest and home confinement of several suspected businessmen and national figures in the country has been a long-awaited move, after Tunisia’s failure to hit hard against corruption after the 2011 uprising, or return its stolen assets. This move created an opportunity for the Chahed government to use this positivity towards this move and instantly “criminalize” the social movements in al-Kamour, by accusing Jarraya of funding the protests, and also drying up the financial resources of the opponents within Nidaa Tunis. For many this campaign appeared to be another cover for a political dispute. However, this step not only creates confusion and misleads the public, but also puts the whole process of transitional justice in jeopardy. The attempt to have a selective process instead will only mean the distortion of truth about past atrocities, and the loss of hope for any fruitful reform.